Foot beechwood furniture lathed perfect. Measures L15 x ø4.5 cm. They sold each. 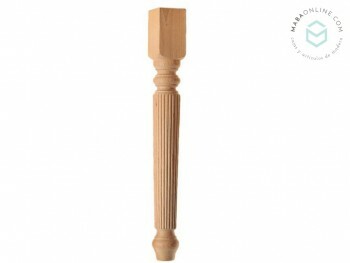 Solid beechwood leg turned with M6 screw Measures long 12,5 cm. without the screw, and Ø7.5 cm. 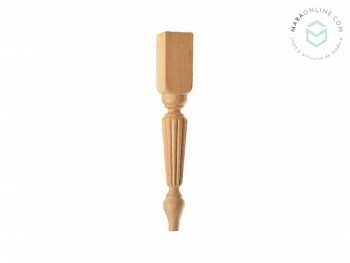 Square beechwood leg with metallic ear of M6 Measures long without counting the metallic spigot 8 x 5 x 5 cm. 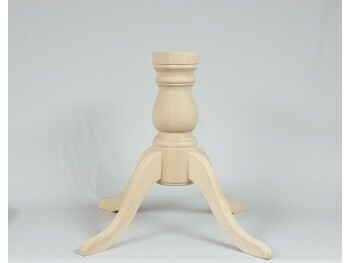 Sloped conical beechwood leg made of solid wood with screw included. Ideal for furniture, consoles ... Measures long 12 cm. without the screw up Ø7.5 x down Ø3.5 cm. 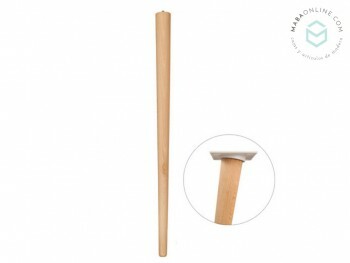 Wooden onion leg with measurements 56 x 64 mm, with 18 mm peg. Onion wooden leg apple with measurements 46 x 62 mm. with 16 mm peg. 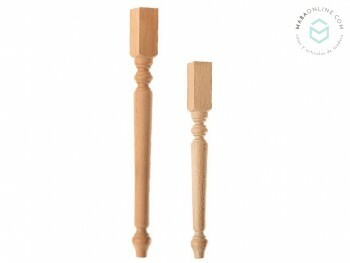 Onion leg with 2 beadings in alder wood measurements 68 x 90. with peg. Onion leg made of pine wood with measurements 90 x 90 mm. with peg. Onion leg ball made of pine tree, with measurements 95 x 55 mm with peg. 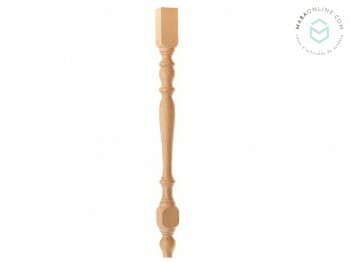 Small turned leg manufactured in beech wood with measurements 100 x 30 mm with peg. 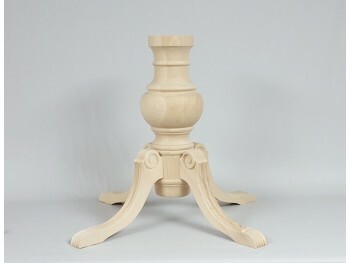 Legs with profile and square moulding in turned beech wood. The thickness of the square moulding is of 4.5 x 4.5 cm in all the lengths except in the L 75 cm which is 5 x 5 cm. 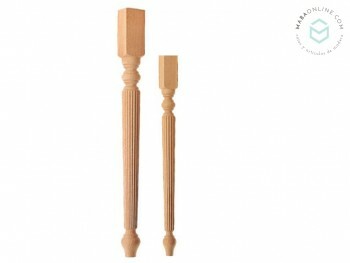 Fluted legs made ​​of beech wood. Dimensions: 30 x 4.5 x 4.5 cm. 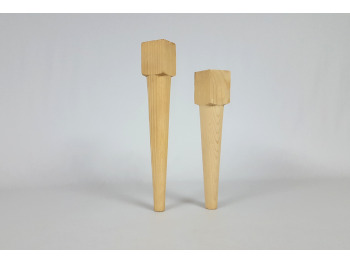 Solomonic leg 4 guides manufactured in beech wood measurements 46x4,5x4,5 cm. Furniture foot beechwood conical measures 15 x ø4.5 cm. Perfect for furniture. They sold each. 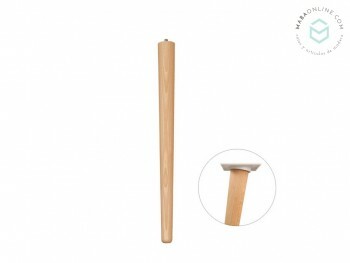 Conical leg made of solid beech wood in natural uncoated with metal stud Measures Length 35 cm. X 4.5 cm. They are sold per unit. Long conical leg 73 cm. 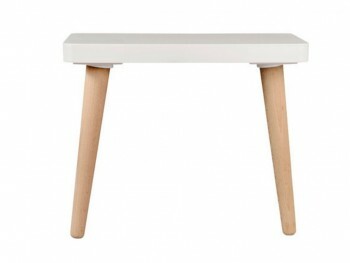 Made of solid beech wood in natural unglazed with 8 mm metal stud. Of Ø Measures Length 73 cm. X Ø 5 cm. In addition, it offers the possibility of adding a piece to tilt the leg and give a different look to your furniture and tables. Plastic piece available in white. They are sold per unit. Piece of white plastic to tilt legs and give a different look to your furniture and tables. Size of the piece: 8x8 cm. Central leg made of beech wood with 3 supports or claws Total height 46 cm. turning diameter 5 cm. With central screw to put the top of the table more easily. 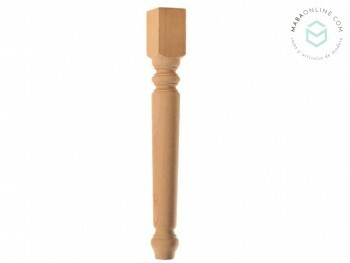 Central leg for table manufactured in beech wood with 4 hoofs, total height 65 cm turned and with thick central bolt to place a table top. 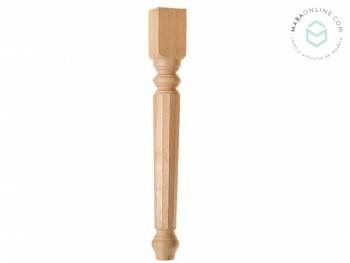 Central leg for table manufactured in beech wood with 3 hoofs, total height 65 cm turned and with thick central bolt to place a table top. Also available with 4 hoofs. Central leg for table made of beech wood with 3 claws, total height 65 cm. lathed and central screw to put thick table top. Also available with 4 hooves. Striped Leg made of beech wood. Dimensions: 75 x 9 x 9 cm. Sold by units. Beechwood leg turned, square 15x6x6 cm. Measures total leg 75 x 6 x 6 cm. 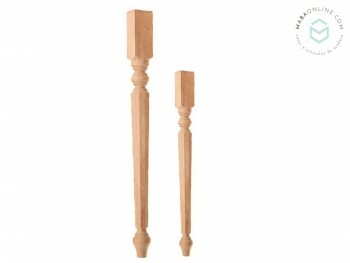 Stretched legs made of solid beech wood. Sold per unit Available in 2 sizes: Length 46 x 4.5 x 4.5 cm. Length 75 x 6 x 6 cm.